Hi spec shop front. 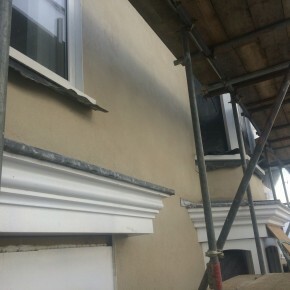 Hydrophobic lime render to conservation and heritage trusts specification. This is on Camborne high street. Come and have a look once the Scafold comes down. All tucked in for the night.